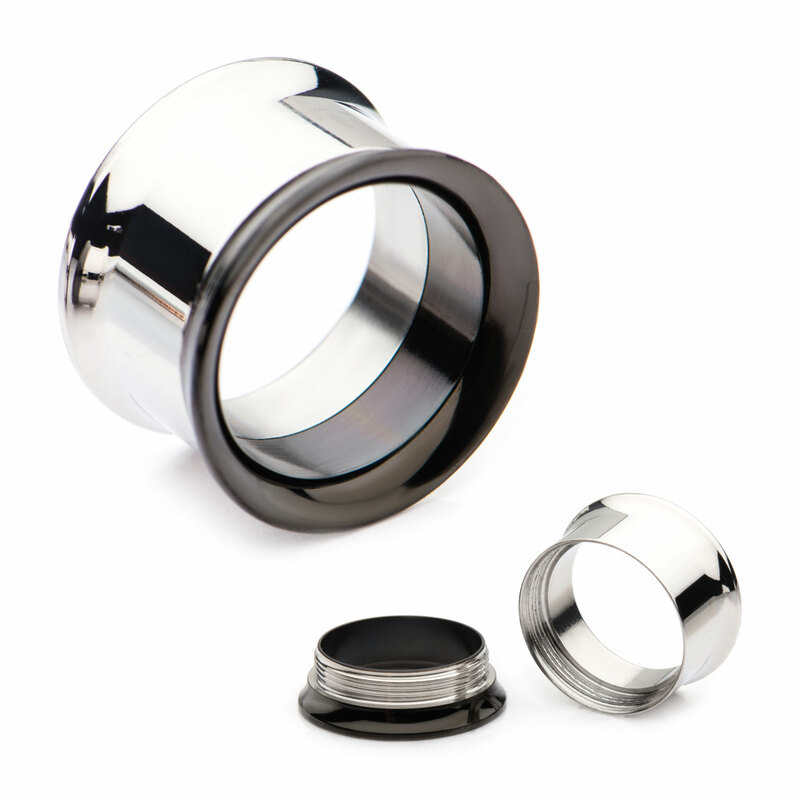 316L Surgical and Black Plated Two-Tone Screw Fit Tunnel Plugs. Made Entirely from 316L Surgical Steel. Internally threaded double flare 2 ways to wear! Sold Individually.